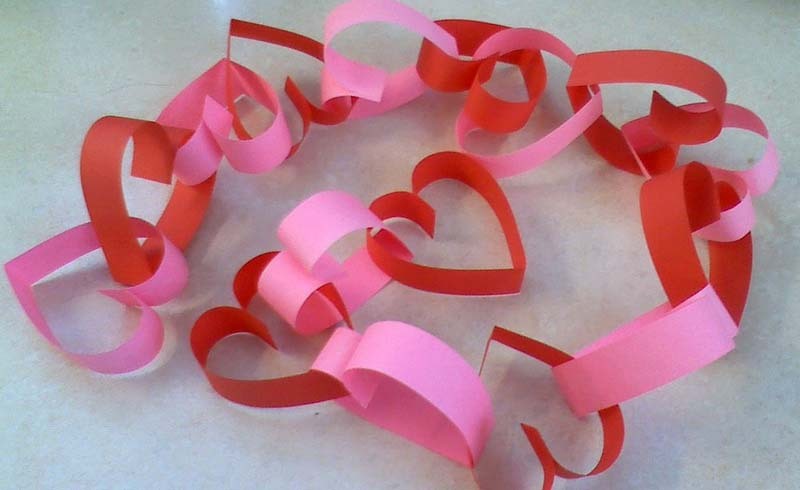 Keep clicking for the complete step-by-step how-to instructions for making this Valentine heart garland. First, grab all the supplies needed for the project. 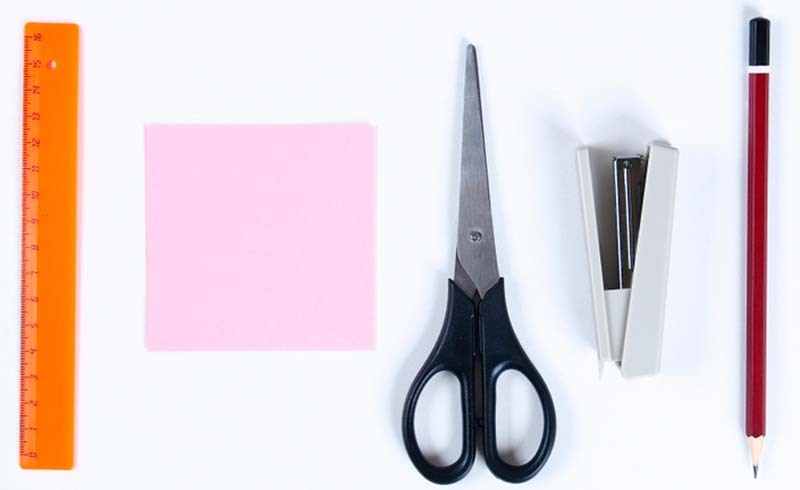 You’ll need a ruler, pink or red paper (or a mix of colors), scissors, a stapler and a pen or pencil. 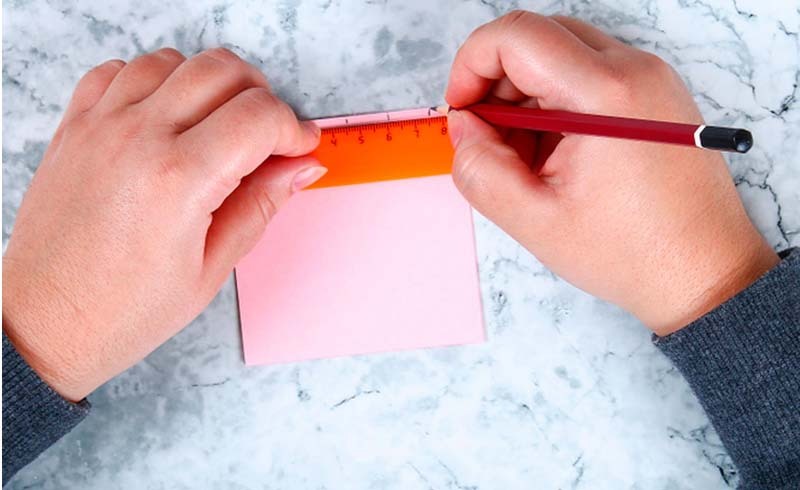 Accurate measuring is important for many DIY projects. 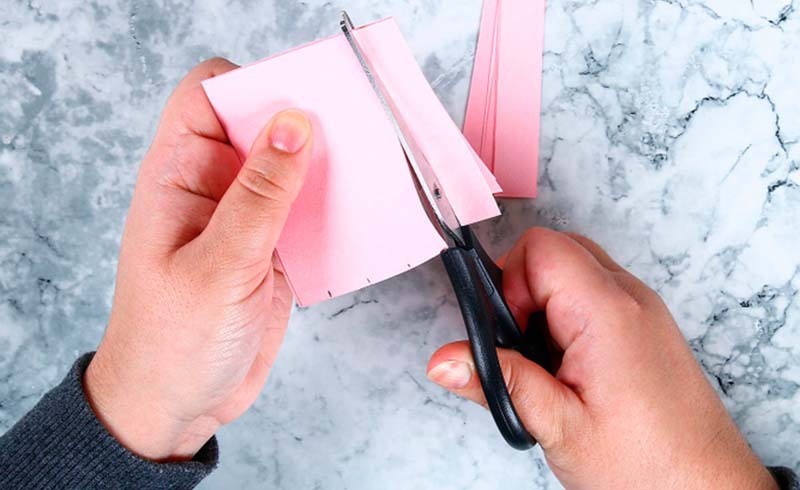 Once you have the strips measured and marked, grab your scissors and cut out the strips. How many should you cut? That all depends on how long you want your garland! Cut a bunch and you can always go back and cut more. Now comes the fun part! Take four strips of paper, line them up and staple one end together. These will be the first two hearts of your garland. 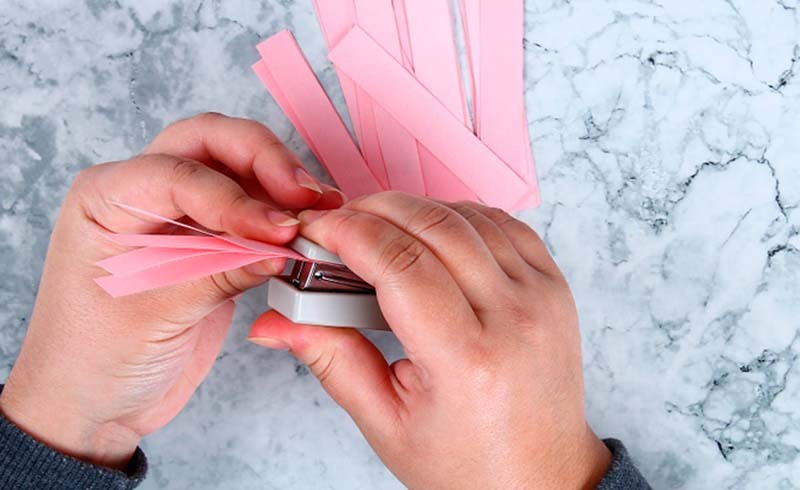 You could also use tape of glue, but stapling is fast and easy. Take the two outside strips of paper and fold them down into a heart, as shown in the inset. Then place a strip of paper on each side of the heart and staple through all four strips, at the bottom. 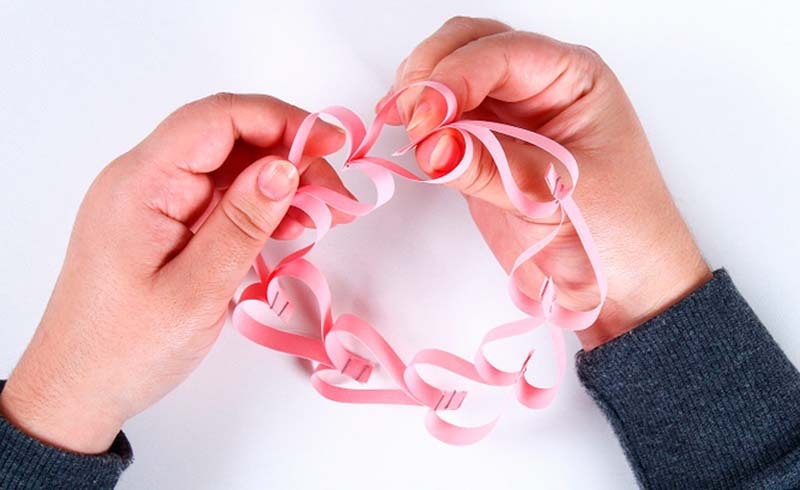 This will allow you to continue making hearts that are attached, forming a garland. 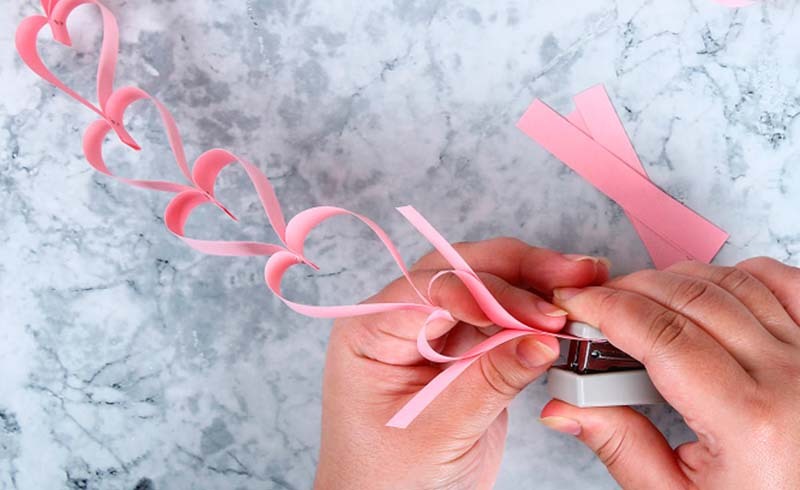 Continue to fold down the last two strips of paper you add into a heart, add two strips of paper to the bottom of the that heart and staple them together at the bottom. 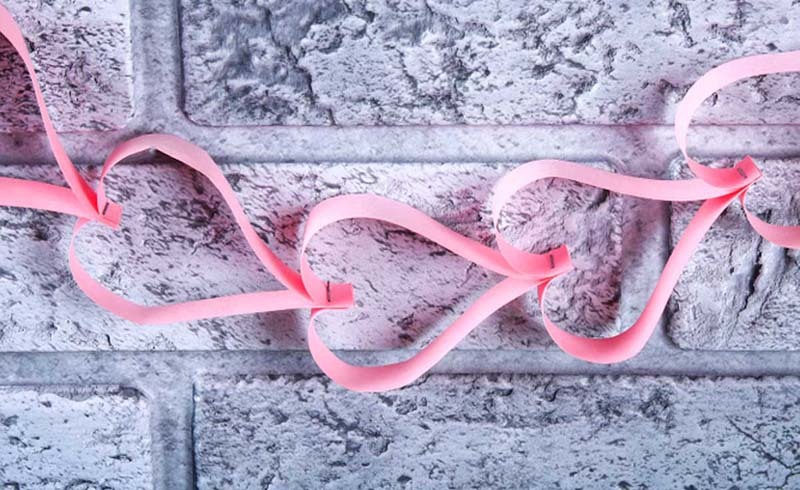 If you’re doing this as a family project, each person can be working on their own strand and then all of the strands can be connected to make one long garland. 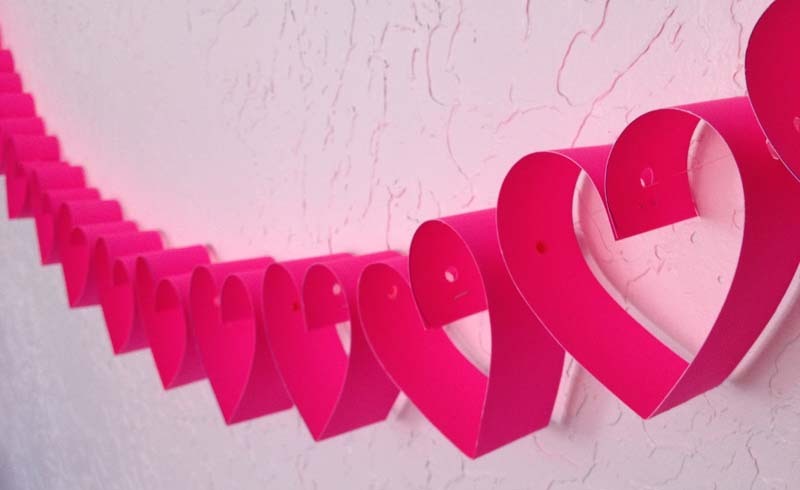 For a smaller project, you can make a wreath with the hearts. 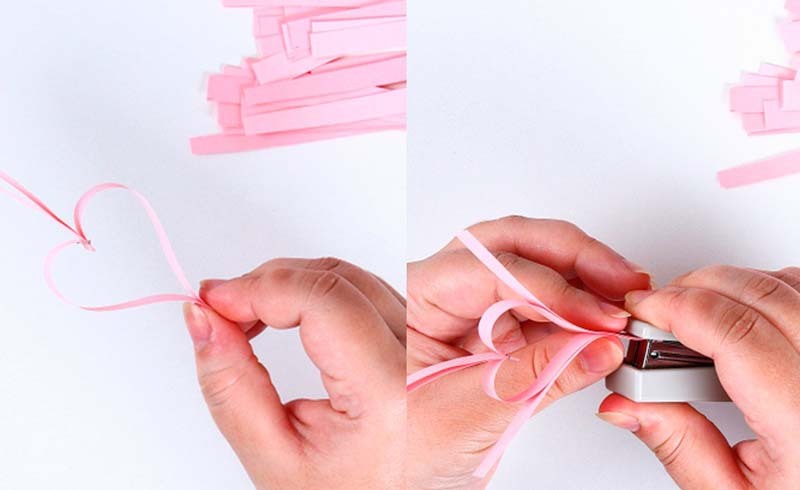 Just attach two ends together to make a circle in whatever size you want.